Stop the presses! Sound the alarm! There are choirs on the loose acting, staging and singing opera! This opera co-commissioned by Conspirare, Pacific Chorale, the recently closed Philadelphia Singers and VocalEssence has taken the choral community by storm. Critically acclaimed composer Jake Heggie and librettist Gene Scheer collaborated on this enchanting forty minute, one-act opera that received its premiere last year by the Pacific Chorale in Southern California. Artistic director of VocalEssence had this to say about the project, "Part of our mission at VocalEssence is to continually rediscover music in new and different ways, which is why we chose to co-commission this wonderful opus by Jake and Gene." 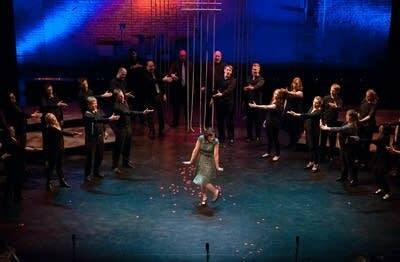 Please enjoy the exclusive video below of VocalEssence performing this newly minted choral opera.